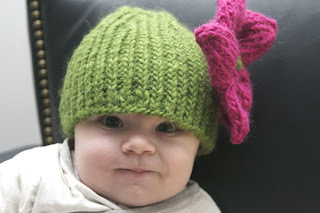 I had a vision for this hat and was very excited to find the time to figure it out and knit it. It was exciting to do something creative and I am very happy that it turned out the way I had imagined. Super extra bonus, complete strangers went out of their way to compliment the hat! Here Margot shows off her stylish new look.